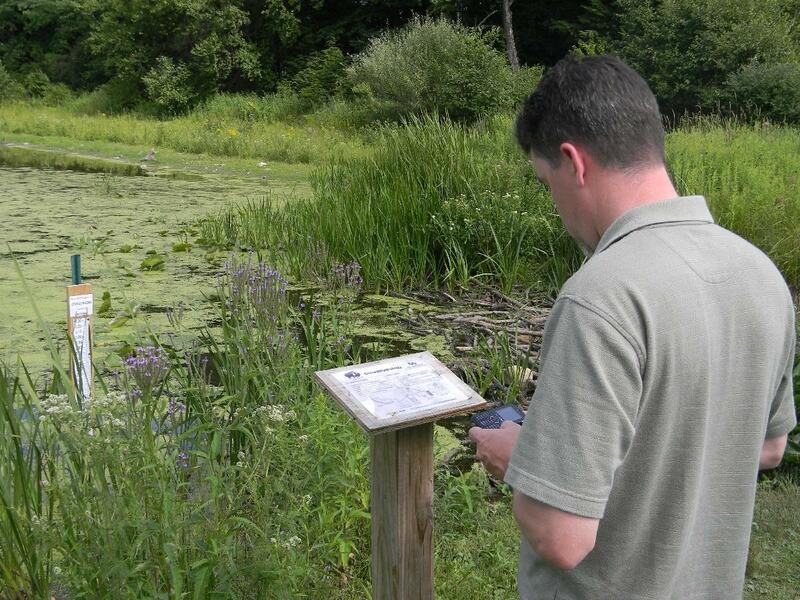 Nature center director Loren Smith texts in data about a local pond. It's part of a new research project that asks average folks with phones to report water levels around western New York. This year, we’ve seen the power of crowds and cell phones to topple dictators and spark revolutions. Closer to home, a researcher at the University at Buffalo is trying to kick off a revolution in the way we learn about our environment - and he’s asking for your help. Chris Lowry is a 30-something geologist and professor. He has friends in the sciences, and they share ideas. Like, earlier this year, when one buddy devised a way to track how animals cross roads. “What he does is he goes around and asks people anytime they see a dead animal by the side of the road to send him a message saying where the animal is. And then he plots that on a map,” Lowry says. That made a light bulb go off in Lowry’s head. “I thought ... if someone can get someone to text you and say, ‘Hey there’s a road kill on I-90’, why wouldn’t someone text me and say, ‘Hey the water level is this in a stream,’” he says. Scientists have figured out how to clone animals and land a man on the moon. But how water moves in and out of natural bodies like streams and ponds is still a largely a mystery. So Lowry is on a mission to collect data about this around western New York. But with a small budget, his tools amount to sticking a large ruler in mud and seeing how high up the water goes. “It’s not the Cadillac, it’s the Volkswagen,” he wisecracks. If his testing mechanism is a Volkswagen, you’re the driver. Lowry is hoping that when you’re out hiking or fishing, you’ll stumble upon one of his rulers, and whip out your phone - just like with the roadkill experiment. “All I ask people to do is, make the measurement and text me the water level, along with the station ID,” Lowry says. Evidence of decades of beaver occupancy can still be found all around the pond at Beaver Meadow Nature Center in Java, New York. But without explanation, the beavers left six years ago and their dam has been disintegrating ever since, causing the pond water levels to drop and rise unpredictably. The disappearing dam has had a ripple effect on the local ecosystem, like allowing certain invasive species to thrive, which could further affect the pond’s water level. Smith shows me one of Lowry’s simple water gauges, sticking up at the north end of the pond. 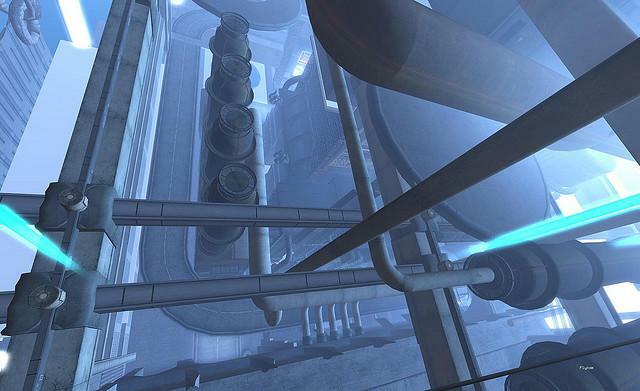 While we’re there, he pulls out his cell to text in the water level. “I have [the phone number] programmed as a contact into my phone. [You] just enter in the station number - which is ‘NY 1000’ - and the stream level, and this goes into a Google account that Chris has set up,” Smith says, as he pounds away at the keys. But while hundreds of hikers have walked past this gauge this summer, only about one text a day comes in. Beckoning the public to help with the collection of scientific data is a new idea that may take some getting used to, Lowry admits. “There are some people that say, ‘I’m not going to text someone my phone number if I don’t know who it is’,” Lowry says. And what about people texting in the wrong information? “That’s something that you’re never going to get around,” he admits. Initially, Lowry has installed an expensive backup system to give him an idea of how reliable crowdsourcing the data will be. While he acknowledges the concept may be an imperfect way of collecting scientific data, scientists won’t know how well it works until somebody tries. “For all I know these [measurement stations] will become the greatest target practice things in the world. There could be a bunch of guys cruising by in a canoe with a six-pack of beer shooting at these things. But I have faith in humanity,” he jokes. Recently, Lowry installed ten more stations in Cattaraugus County. Eventually, he envisions monitoring the spring snowmelt from the gauges, or using them to allow people to check the stream level of fishing spots online. That is, if the texts come in. Can you crowdsource smarter cities? Yesterday was the last day to submit to the Smarter Cities blog challenge, a partnership between tech company IBM and city-living afficianado , Next American City magazine. The project collected top examples of the use of technology and information-gathering to improve urban life. However, the project seems to have hit the roadblock faced by many crowdsourcing projects: getting people to buy in.